Institute cover more than 3.5 million square meters of built-up area & acres of open land. With a hospital of 750 beds, the Institute of Medical Sciences and Research of Kuppel has a constructed area of ?? 1 million+ square meters. The PES campus covers 25 hectares. 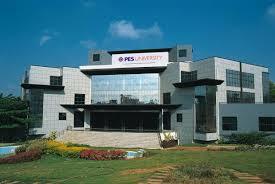 Based in Bangalore, India, PES University is one of the country's leading education and research universities. The university is providing "real world education" that inspires candidates to reach their strength. South Campus will be part of a multidisciplinary university campus. Creating a support infrastructure is an essential element of our strategy. The PES infrastructure is carefully designed to meet the needs of students and teachers, ensuring there are no limits between discovery and application of knowledge. We not only believe in this sustainable way of academic performance, but also in the capacity of the PSA community to innovate, take on new challenges and take advantage of new opportunities. Scholarships are provided for all the well deserving candidates who maintain their academic progress. Students with low economy are supported by institute. Loans are available from various banks as per the college norms. 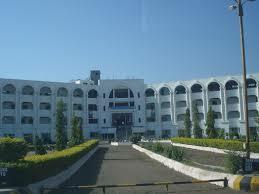 Institute provides almost 90% of placement ratio. The highest package offered in the institute is around INR 12LPA and average package is nearly 3.5LPA. Few companies who visited the campus are SAP, Deloitte, Amazon, ITC, EBay, Cisco, IBM, NVidia etc. Institute offers separate hostels for girls & boys with all the basic facilities like hygienic food, medical facility, ATM, reading room, playing area, single & double sharing rooms etc. Doing BBA from this college. course fees pais 160,000 per year. i not got scholarship but merit student can get this facility. Fees for local student is different. PES university is very good as well as Environment is also clean you will get good and educated faculty and 70% are very friendly and inside the campus you will get all the facilities like WIFI, library, labs and sports etc. At PES, 40+ different computer laboratories across the campuses house and there are thousands of computers for use by students and staff. I can say that PES is one of the best engineering college very good environments for studying and lots of technical events also happen and you will get lots of opportunities to learn new things and its very Strict about the attendance if you are looking for education this is the best college. I completed my BCA then after BCA I have done my MCA from PES University in year 2008 & 2011 and according to me this is really good college with excellent facilities and infrastructure and it is such a very good for get good opportunities to showcase their talents in any field and I am lucky enough to be a part of this college. What is fees of aeronautical engineering and in how much percentage of 12th std we will be able to get scholarship? College does not offer Aeronautical Engineering course. 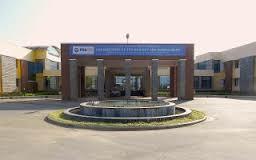 The courses offered in PES University are Civil Engineering, Biotechnology, Computer science, Electrical and Electronics Engineering, Electronics and Communication Engineering, Mechanical Engineering. 60% aggregate marks in 10+2 or equivalent in science stream from a recognized board. Test Scores in PESSAT (National level exam) or KCET (State level exam) required. Are you Interested in " PES University Bangalore"? Please provide the following details.